The Quad Sticks by Rudolph Optics is taking the long range shooting and hunting market by storm. This technology is allowing seasoned veterans who have shot long range for years to be able to tighten their groups by more than 50%. It allows young kids and people who are new and just learning how to shoot to be very successful which also allows them to have confidence. They are lightweight and fold up to be used as a walking stick. You can use them as a normal bipod or split them front to back to allow two points of contact on your rifle or crossbow. This takes the windage movement out of the equation and allows the shooter to focus totally on the target with slight elevation adjustments. 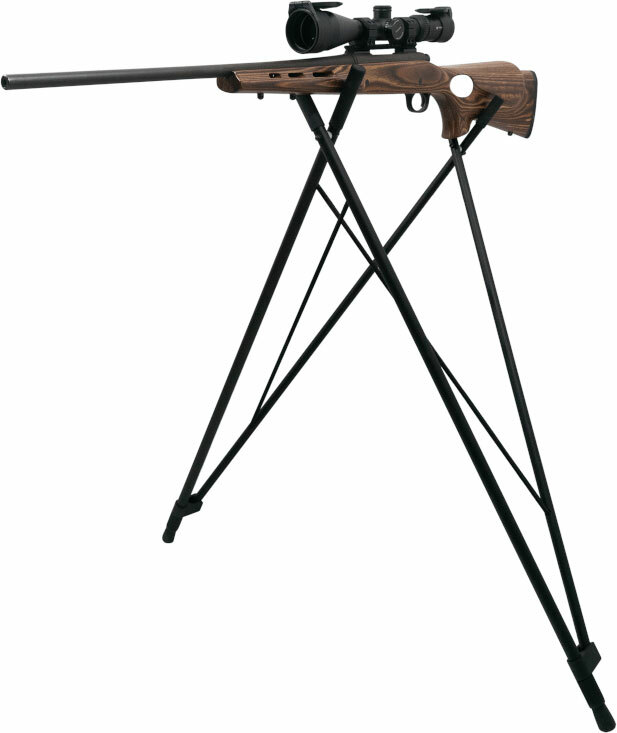 The long version allows spot and stalkers, avid safari hunters or long range paper shooters to feel like they are shooting from a bench at the range.